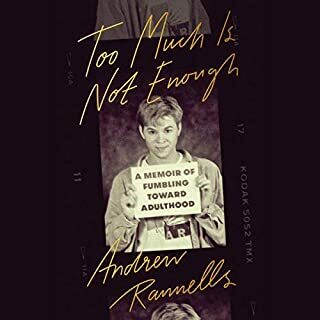 From the star of Broadway's The Book of Mormon and HBO's Girls, the heartfelt and hilarious coming-of-age memoir of a Midwestern boy surviving bad auditions, bad relationships, and some really bad highlights as he chases his dreams in New York City. 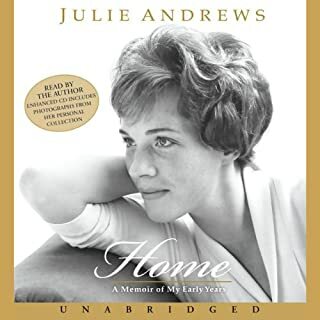 Since her first appearance on screen in Mary Poppins, Julie Andrews has played a series of memorable roles that have endeared her to generations. But she has never told the story of her life before fame. Until now. 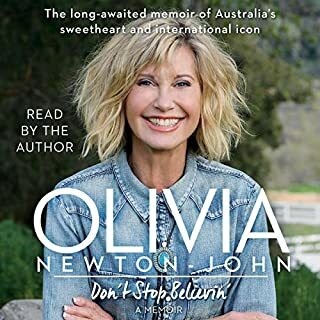 With candor, humor, and warmth, legendary musician, actress, activist, and icon Olivia Newton-John reveals her life story - from her unforgettable rise to fame in the classic musical Grease to her passionate advocacy for health and wellness in light of her battles with cancer. Perfect for fans of Tina Turner’s My Love Story and Sally Field’s In Pieces, this international best seller is an extraordinary can’t-miss memoir. The definitive biography of the deeply complex and widely misunderstood matinee idol of Hollywood’s Golden Age. Devastatingly handsome, broad-shouldered, and clean-cut, Rock Hudson was the ultimate movie star. 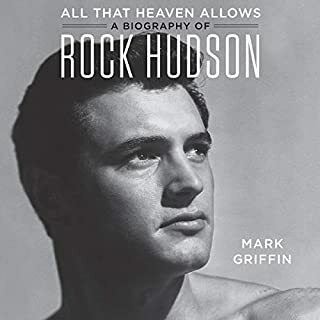 The embodiment of romantic masculinity in American film throughout the ‘50s and ‘60s, Hudson reigned supreme as the king of Hollywood. But in a more conservative era, Hudson’s wholesome, straight-arrow screen image was at odds with his closeted homosexuality. THE BEST BIOGRAPHY I HAVE EVER READ! 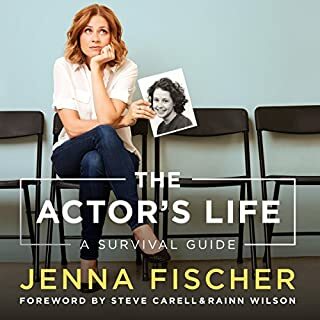 Jenna Fischer's Hollywood journey began at the age of 22 when she moved to Los Angeles from her hometown of St. Louis. She was determined, confident, and ready to work hard. So, what could go wrong? Uh, basically everything. The path to being a professional actor was so much more vast and competitive than she’d imagined. It would be eight long years before she landed her iconic role on The Office, nearly a decade of frustration, rejection, and doubt. If only she’d had a handbook for the aspiring actor. Or, better yet, someone to show her the way. Jenna wants to be that person for you. 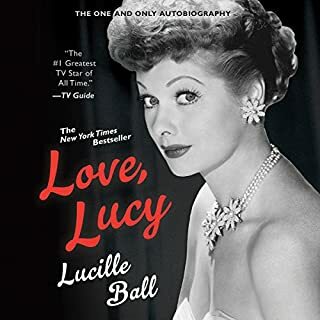 Love, Lucy is the valentine Lucille Ball left for her fans—a warm, wise, and witty memoir written by Lucy herself. The legendary star of the classic sitcom I Love Lucy was at the pinnacle of her success when she sat down to record the story of her life. No comedienne had made America laugh so hard, no television actress had made the leap from radio and B movies to become one of the world’s best-loved performers. This is her story—in her own words. In this intimate, haunting, literary memoir read by the author, an American icon tells her story for the first time, in her own gorgeous words - about a challenging and lonely childhood, the craft that helped her find her voice, and a powerful emotional legacy that shaped her journey as a daughter and a mother. The legendary Dolly Parton shares for the first time her deeply held philosophy of life and her heartfelt hopes for everyone. Based on the hugely popular commencement speech Dolly Parton gave at the University of Tennessee that became a sensation, Dream More is a deeper and richer exploration of the personal philosophy she has forged over the course of her astonishing career as a singer, songwriter, performer, and philanthropist. Using her speech as a jumping-off point, Parton explores the four great hopes she urges us to embrace: Dream more, learn more, care more, and be more. At last, the full story behind Megan Mullally and Nick Offerman's epic romance, including stories, portraits, and the occasional puzzle. How did they do it? They came from completely different families, endured a significant age difference, and were separated by the gulf of several social strata. Megan loved books and art history; Nick loved hammers. But much more than these seemingly unsurpassable obstacles were the values they held in common: respect, decency, the ability to mention genitalia in almost any context, and an abiding obsession with the songs of Tom Waits. In this remarkable dual memoir, film legend Martin Sheen and accomplished actor/filmmaker Emilio Estevez recount their lives as father and son. In alternating chapters—and in voices that are as eloquent as they are different—they narrate stories spanning more than 50 years of family history, and reflect on their journeys into two different kinds of faith. Hartwarming and Captivating but Fix the Audio! Wildflower is a portrait of Drew's life in stories as she looks back on the adventures, challenges, and incredible experiences of her earlier years. It includes tales of living on her own at 14 (and how laundry may have saved her life), getting stuck in a gas station overhang on a cross-country road trip, saying good-bye to her father in a way only he could have understood, and many more adventures and lessons that have led her to the successful, happy, and healthy place she is today. The Explosive Inside Story of "The View"
When Barbara Walters launched The View, network executives told her that hosting it would tarnish her reputation. Instead, within 10 years, she’d revolutionized morning TV and made household names of her cohosts: Joy Behar, Star Jones, Meredith Vieira, and Elisabeth Hasselbeck. But the daily chat fest didn’t just comment on the news. It became the news. And the headlines barely scratched the surface. Based on unprecedented access, award-winning journalist Ramin Setoodeh takes you backstage where the stars really spoke their minds. Please never let this author narrate again! Ever! Anna Faris has advice for you. And it's great advice, because she's been through it all, and she wants to tell you what she's learned. Her comic memoir and first book, Unqualified, will share Anna's candid, sympathetic, and entertaining stories of love lost and won. Part memoir, part humorous, unflinching advice from her hit podcast Anna Faris Is Unqualified, the book will reveal Anna's unique take on how to navigate the bizarre, chaotic, and worthwhile adventure of finding love. Reese Witherspoon’s grandmother Dorothea always said a combination of beauty and strength made Southern women “whiskey in a teacup”. We may be delicate and ornamental on the outside, she said, but inside, we’re strong and fiery. Reese’s Southern heritage informs her whole life, and she loves sharing the joys of Southern living with practically everyone she meets. She takes the South wherever she goes with bluegrass, big holiday parties, and plenty of Dorothea’s fried chicken. With nearly 100 photographs, including an 8-page four-color insert, and illuminating details about the life of a working actor, from inspired costars and demanding directors to her distinct perspective on how she developed and honed her Tony Award–winning performances, Patti LuPone: A Memoir is as inspirational as it is entertaining. And though the title might say “a memoir,” this is ultimately a love letter to the theatre by a unique American artist. Navigating through youth and young adulthood isn't easy, and in Sorry Not Sorry, Naya Rivera shows us that we're not alone in the highs, lows, and in-betweens. Whether it's with love and dating, career and ambition, friends, or gossip, Naya inspires us to follow our own destiny and step over - or plod through - all the crap along the way. In this frank and funny memoir, the Tony Award-winning star of stage and screen shares her journey from small-town Oklahoma to big-time Broadway, vamping on what it takes to stand firmly on a foundation of family and faith while wearing a hot pair of Jimmy Choo platform sling-backs. Filled with wit, wisdom, and backstage insight, A Little Bit Wicked is an essential read for Kristin's legions of fans and an uplifting story for anyone seeking to follow their dreams - over the rainbow and beyond. Fan's of Kristin Chenoweth will fall in love with her even more. What a fun listen! Kristen performs this audiobook in her doll of a voice, and she had me in a smile and a giggle the whole way through. She's the best combo of down-home goodness and stage talent since Dolly Parton. Even though she's a star, it's her message that shines through: faith, family, and friends come first. I love Kristin Chenoweth and really enjoyed A Little Bit Wicked. I felt she did a great job narrating it herself and really making it interesting for the listeners. It was a great blend of humor, sadness, and faith. I love that she sticks to her beliefs in an industry that makes it really hard to stand up for what you believe. The only complaint I have is that it was too short. I could have listened to another 5 hours. I would recommend this book to anyone who is a fan of Kristin Chenoweth or even if you are not get it and become a fan. What I Loved: Kristin Chenoweth is just such a delightful personality. She has great stories from her life both professionally and personally. I don't feel like she held anything back! She does it with such poise, humor, and a little wink/nudge to her friends. This was like getting a glimpse into what I think is one of the most down-to-earth celebrities there is today. It might be her southern roots but you just feel like she is someone you could sit down, have dinner, and chat about day to day stuff. What I Liked: Her friends, family, and moments that just made me giggle hysterically! I love that she tackled everything faith, failed relationships, the theater, her friends, and hair mishaps. Audio Specific Review: Kristen read, sang, and giggled her way through reading this! It was fantastic and the way I would suggest getting this book. Why I gave it a 4.5: It was 7 hours of just plain fun! 2. I love her voice and character in the TV series "West Wing"
Kristin's voice and dry sense of humor makes this book most enjoyable. Humor at ever turn and little tag lines throughout the book coupled with a behind the scenes look at what it really takes to make it on Broadway. Reading this book felt like a kitchen table conversation with a friend....she is genuine and likeable and real. I like her. This is a must read for anyone who has ever seen Kristin Chenoweth on stage. He witty personality shines through ever word! Love this book!! Kristin is genuine and entertaining. I love her story and will listen again and again! I've been a fan since "A New Brain" in the late 1990s. This is a great book with lots of fun stories and insight. I can't wait for her next memoir! I have recently become a big fan of Kristin Chenoweth and listening to her biography only made me a bigger one! Candid, funny, and narrated by herself! I've listened to it twice already and loved every minute! From adoring fans to those who want an insight into someones journey to their own success I could not recommend this more! Where does A Little Bit Wicked rank among all the audiobooks you’ve listened to so far? It is not a sci-if dramatic read by any sorts like I usually get, but I have an interest in dance and the arts, and I have seen the musical WICKED. This book oozes personality, charisma and is light hearted fun. I liked the way that life experiences have been given a positive outlook. This is not a trait strongly known for British people like myself and it is inspiring to hear. I liked that the book had a LOT of content and details into the authors life. At times there was me,an holy and sadness which was noted but not described. Sometimes she wants to keep some personal things private which is a testament to the people in her life that she wants to speak about in her story, but not to expose them in any negative way. Little lady, big voice; here comes Kirstin! I don't particularly like chick flicks or love stories so this was my alternative. For anyone interested in Broadway or dance or singing or to personalities this would be great for you. It is inspirational written from a woman's perspective for women and girls everywhere. Although the journey is not 100% relatable (not all of us get to be Broadway stars), the life lessons learnt and the personal journey is very much so.